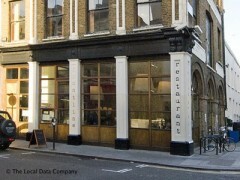 About: The Frontline restaurant is a welcome haven from the bustling streets of London’s Paddington. The restaurant is part of the Frontline media club that uniquely combines eating, drinking and thinking. Profits from the restaurant support the charitable work of the Frontline Forum with its weekly programme of cutting edge documentaries and discussions that ensure the world’s causes and crises that fade from the headlines are kept in sharp focus.